If you are suffering from a substance abuse problem, now is the best time to seek treatment. No matter how regretful you may feel, you cannot change the past, and no matter how hopeful you are, the future is still uncertain. What you are in control of is your today. Free yourself from addiction by taking the first crucial step — finding inpatient Phoenix rehab center. We, at America’s Rehab Campuses, have a facility in Arizona that offers a transformative experience to addiction treatment that starts with the detoxification process. We know how completing the detox process is crucial in the addiction treatment journey of people with substance use disorder. While you can find articles on the internet advising how to carry out the detoxification process for free without having to enter a Phoenix rehab center, know that at-home detox is dangerous and even life-threatening. Since the detox process requires you to cease using drugs or alcohol to rid your body from all traces of the substance entirely, you are bound to experience withdrawal symptoms. Frequent use of addictive substances may give you pleasurable feelings at the onset, but the habit is causing changes in your body and your brain. As you continuously use drugs, your body and brain become heavily dependent on the drug to function. Hence, the moment you stop using drugs, your body and brain go haywire. Since your system is no longer used to not having drugs, it will react negatively when the drug is absent. This adverse reaction is the withdrawal process. Your body starts experiencing various physical and psychological symptoms as it tries to cope with the absence of drug. Withdrawal symptoms include, but not limited to, high blood pressure, palpitations, extreme sweating, agitation, physical pain, nausea, anxiety, and depression. All these negative symptoms should be managed during detox, how can you do so in at-home detox? We, at America’s Rehab Campuses, fully understand how painful and challenging the detox process is for drug-addicted individuals. There are even occasions wherein withdrawal symptoms cause life-threatening medical conditions such as a heart attack. Considering such medical risks, we provide inpatient detox services. The moment you step inside our facility, our team of detox specialists will assess your condition and come up with a detox plan. This plan aims to systematically manage your withdrawal symptoms so that you will be as comfortable as possible during the process. Your detox plan will also include different interventions to help you cope with withdrawal symptoms such as medication, counseling, and holistic therapy. Our detox and medical team will also be monitoring your progress 24 hours a day. And since you are inside our rehab facility, you can stop stressing about your day to day problems, pressures, and stress and concentrate solely on getting better. Start the first step to living a drug-free life by relying on our detox and addiction treatment program. We, at America’s Rehab Campuses, are always here to help. From our facility and staff to our treatment and aftercare programs, our commitment is to accompany you on your addiction recovery journey. 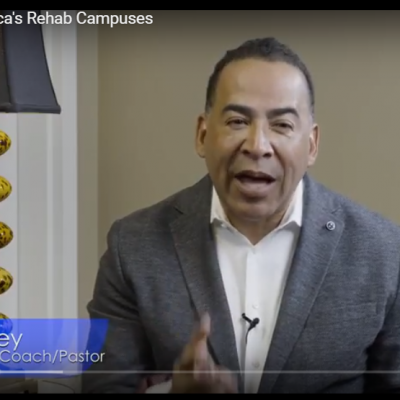 ©2018 America's Rehab Campuses. All Rights Reserved.